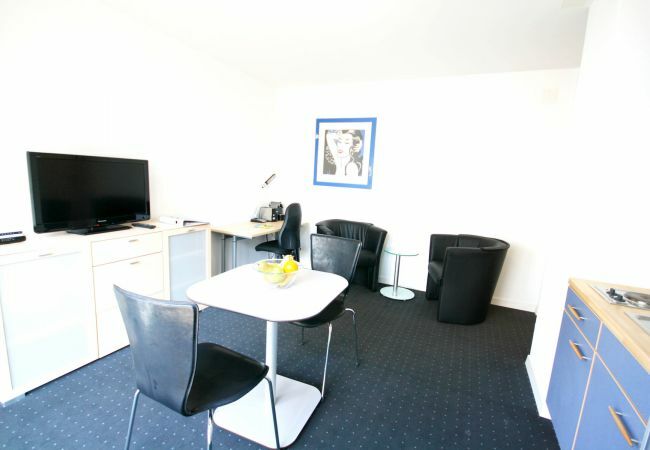 In this cosy 2 room apartment in the centre of Cham you will enjoy the highest living comfort. 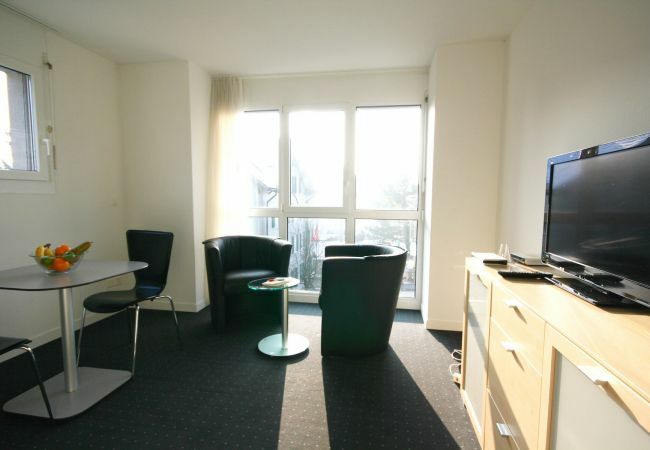 The apartment called "Dahlia I" is the perfect accommodation for your business stay in Canton Zug. The apartment is in a quiet location in Cham and offers complete comfort. 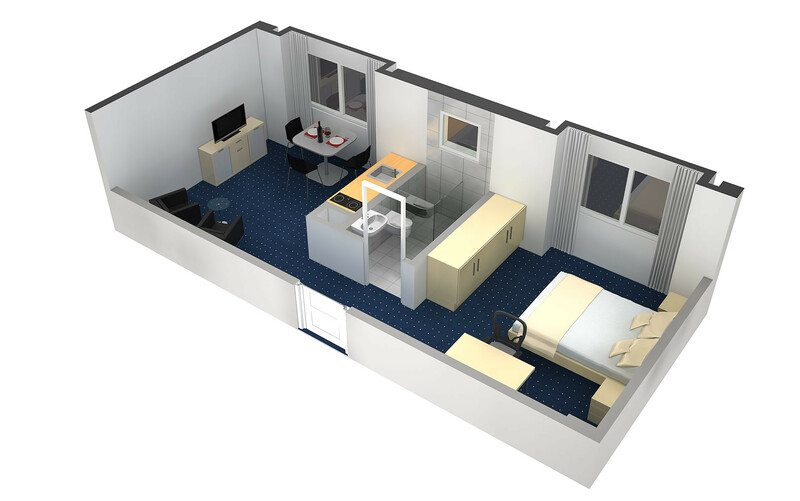 The furnished apartment has 2 rooms and offers space for two persons. The modern kitchen offers the possibility to cook for yourself. 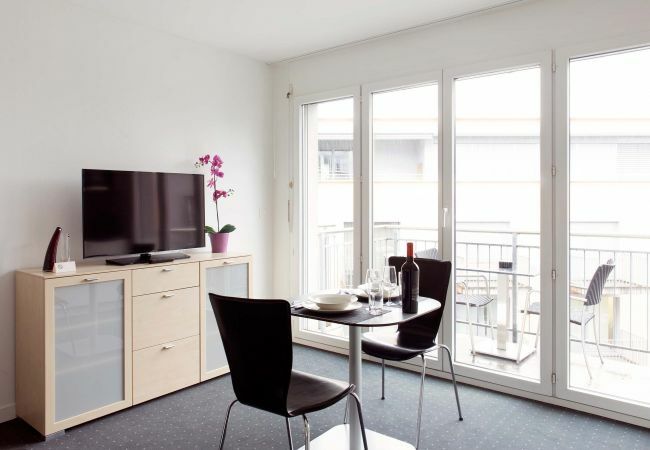 It is equipped with hotplates, oven, microwave, Nespresso machine and all common kitchen utensils. Of course there is also a private bathroom. 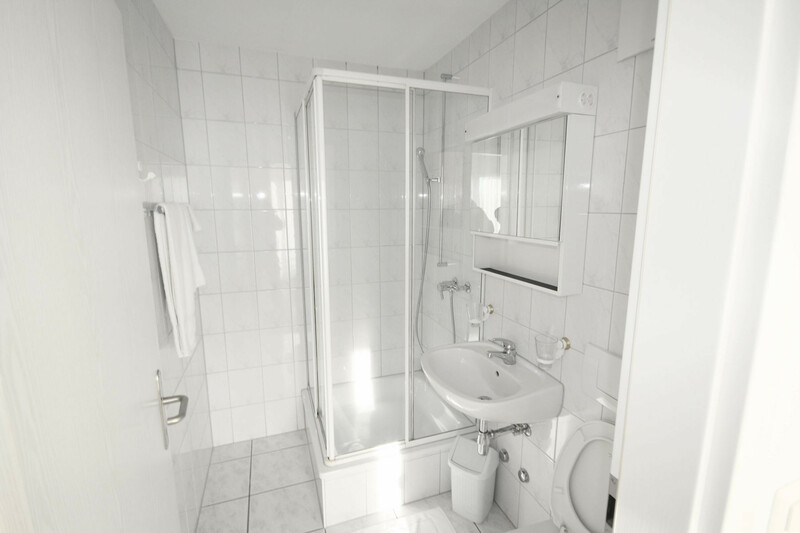 In addition to WC and shower, you will also find a hair dryer and hand and bath towels. 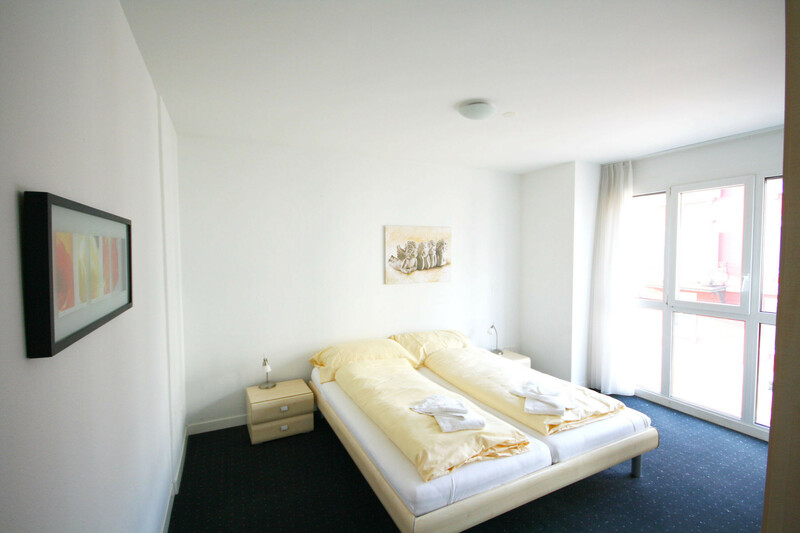 The price of the apartment includes wireless internet, TV, bed linen, towels, monthly cleaning, all additional costs and final cleaning. Washing facilities are also available free of charge and a parking space can be rented for an additional monthly charge. In this apartment you live centrally and nevertheless many leisure and recreation possibilities are available to you in direct proximity. 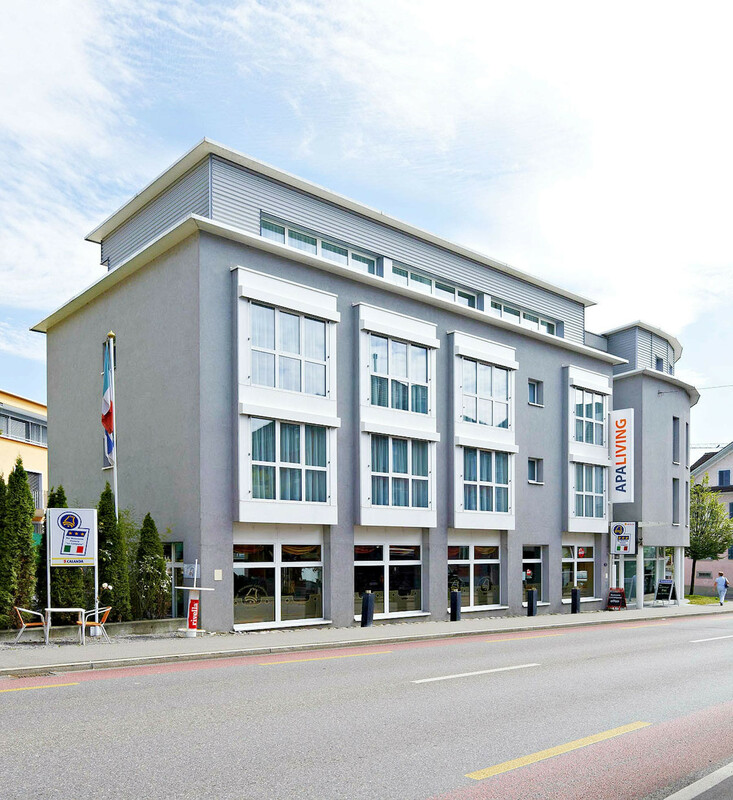 Cham station is less than a minute's walk away. 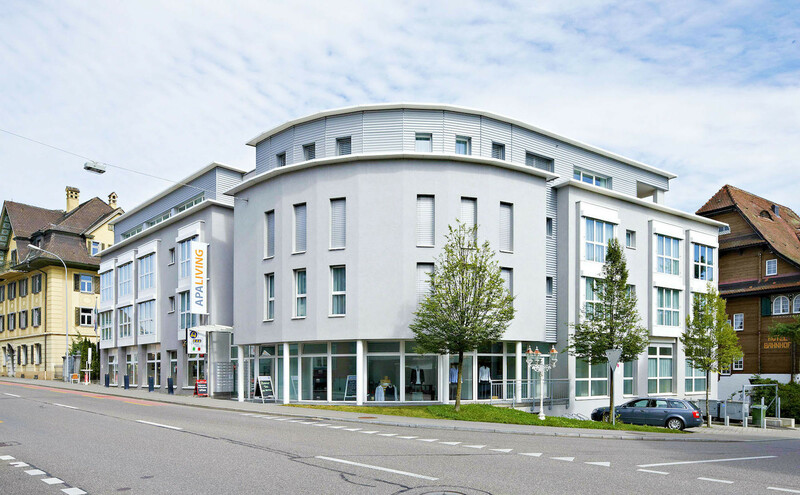 Shopping facilities and Lake Zug are also within walking distance thanks to its location in the centre of the village. The city of Zug is very easy to reach by train or by car. 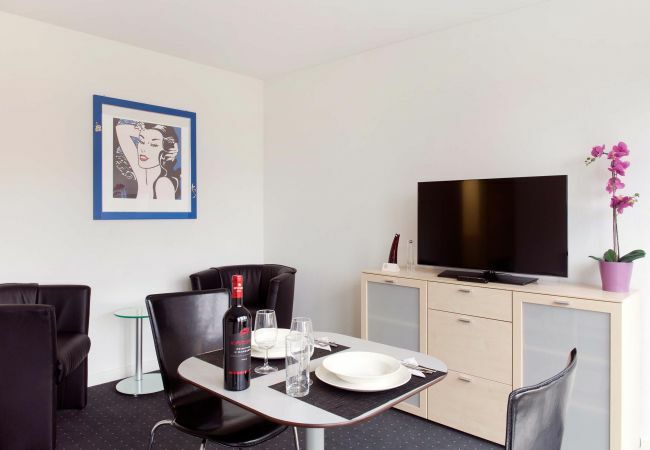 1 TV, TV Satellite (Languages: Spanish, English, German, French, Russian), Stereo, 1st floor, lift, iron, internet (Wi-Fi), hair dryer, 38 m² property, central heating, 1 fan.